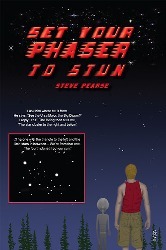 In this 450 page book, Steve Pearse takes a new look at the famous star map revealed during the Barney and Betty Hill abduction case. He challenges Marjorie Fish's controversial interpretation, showing that the data she relied upon to create her solar neighbourhood model has changed sufficiently over the last few decades to invalidate her claims. Instead, he proposes an entirely new analysis, literally taken from a different perspective. He brings into the equation a second abduction case where the home star of the Greys was pointed out to abductee Erik Wilson, lying in the vicinity of Ursa Major. He fuses the two together to show that Betty Hill's own drawing represents the same part of the sky as seen from the perspective of an observer on Earth. The power and simplicity of this hypothesis are palpable in the book, if not convincing. However, the clarity of his message is clouded over by an over-reliance upon technical astrometric data (which the lay reader is going to find confusing), and a repetitive narrative that seems to delight in reviving age-old arguments held back in the day when the Hill abduction case had captured the public's (and scientific community's) attention. Although context is of course important, the end result is that I came to the conclusion that Steve Pearse, in his drive to convince the world of the importance of this new work, had let this case get under his skin a little too much. It's a pity, because he really could be onto something here. The author is convinced that the Extraterrestrial Hypothesis is the best solution to the UFO problem, and takes the reader through several cases, as well as providing a critical examination of officialdom's inadequate (even cynical) attempts to grapple with the issue. But he is far from being a wide-eyed believer. Steve Pearse also takes several of Ufology's most well-known researchers to task for poor research and complacency in the face of emerging new data. He is particularly critical of Stanton Friedman in this regard, which shows admirable independent spirit. However, given that Stanton Friedman is arguably the foremost researcher of the Hill case, this is a risky strategy indeed. 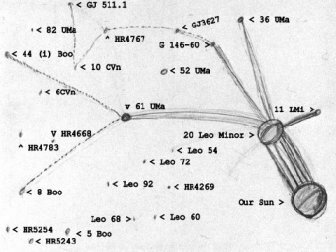 More damning still is the alteration in star distances over time, due to the historic poor quality of the telescopes used to gather data on star positions in the southern hemisphere (p235). Simply put, many of the stars Fish relied upon are now known to be in totally different positions in her 3D model. Indeed, many of them are now completely out of the box, so to speak. I for one would be most interested to hear Stanton Friedman's response to these problematic issues, but I suspect that the way Steve Pearse has set about presenting his case is unlikely to elicit more than a cursory reply. Part of the problem here is that the use of language, the quality of grammar and spelling throughout this book are at odds with the high quality of scientific data the author has collated to support his case. Irritatingly, it is often unclear where extracts from reference material begin in the main body of the text. Even the title of the book remains enigmatic, despite a hint at an explanation (p385). Most difficult of all, though, is a distinct lack of visual reference in terms of star charts to explain the author's arguments. The author provides only four substantive diagrams in the whole book: The original Hill drawing (p95), the Hill-Wilson Star Map (p289), a comparison of the Hill Map against the Fish interpretation (p99), and the Koch and Kyborg Map (p123) which itself incorporates a different numbering/lettering scheme. I have since found the image to the right on the Internet which provides slightly better diagrammatic clarification than is available in the book, labelling Betty Hill's diagram with Pearse's proposed star pattern solution. It was never really clear to me which stars were Position 1, Position 2, etc - a nomenclature system constantly referred to in the text - unless you worked backwards from the names of the stars provided in the astrometric data. Fortunately for me, I have a reasonable grasp of astronomy and could elucidate the material being presented in this rather haphazard way. But many readers who don't benefit from a long-standing interest in astronomy and astrophysics are going to struggle. The reason I'm laying these problems out at such length is because at the core of this book is a bloody good thesis. Pearse's point about how the metallicity of stars provides an essential bedrock for terrestrial-style planet formation is very well made and gets to the heart of why the Zeta binary is highly unlikely to live up to Fish's expectations. Which, in turn, bowls over half of the UFO Community's obsession with the Zetas. Likewise, his interpretation about which star represents Sol and which represents the alien home system seems just plain common sense, and is a far more agreeable conclusion than what has come before. His lively critique of the intransigence of the UFO community in the face of damning new astronomical data is of prime importance in reviewing the continuing importance attached to the Fish interpretation. Indeed, the strength of this book lies in how it challenges the status quo; not just Science's desire to remain ignorant of what might be going on up there, but also the complacency of the big beasts of Ufology who brush over awkward facts. Despite these strengths, the book's message is poorly communicated and is sometimes accompanied by unnecessary bluster and hyperbole. Yes, to establish a new thesis one must first critically analyse what has come before, and then confidently assert new ideas. But there are ways of presenting new material that challenge without risking offence, that inspire rather than grate. It is clear that the author hoped to create a book which would engage the interest of scientists. Unfortunately, here, too, he has somewhat missed the mark. Dumping great lists of data into the main body of the text confused matters rather than supported his arguments. If he was trying to impress scientists, then, unfortunately, this was not the way to do it. The perfectly good material he had collated and presented first needed to be sifted, prioritised and, if necessary, placed into an appendix. Extracts and quotes needed to be properly configured so as not to be confused with the main body of the text. Work needs to be done here. It is my earnest hope that Steve Pearse can re-formulate and professionalise his presentation, and move forward with his important contribution to the UFO debate in a way that wins hearts and minds. His argument and ideas deserve to be heard.